The era of nectarcots, pluots, and jazz apples is upon us as biologists turn their attention to developing delicious, imaginative tastes. Welcome to the era of nectarcots and peacotums. These fruits are the resulting hybrids from stone-fruit breeding. Over the past few decades, botanists, horticulturalists, and biologists, who believe in the scientific and inventive expression of selective breeding, have turned their attention from perfecting fruit color, robustness, and size, to developing palatable, imaginative tastes. As our desire for new foods grows alongside agricultural developments and breeders remain inquisitive and passionate about new tastes and edible varieties, consumers welcome new products to the supermarket with curious hesitancy. When you bite into an aprium or a jazz apple, what is it that you taste? You’ve seen hybrids before, perhaps without even knowing it. 1. When You Cross a Plum With an Apricot A hybrid fruit is the result of cross-pollination of two plants from the same species or genus. When humans intervene in the process by selecting plants to pollinate for intentional results, the procedure is painstakingly meticulous and monitored. It may take years of selective breeding to produce a desired fruit. The plum-apricot hybrid known as the “pluot” took biologist Floyd Zaiger around 20 years to perfect before he introduced it to the market. Different from open-pollination (which is uncontrolled or varied pollination by insects, birds, winds, or natural causes), when the human hand brushes pollen from the male flower of one plant to the stigma of the flower of a female plant this type of hand-pollination delivers controlled results. So what do you get when you cross a plum with an apricot? Well, it depends on the characteristics selected for breeding. A pluot is a hybrid of plum and apricot, dominated by plummy characteristics and lighter on the apricot. A plumcot is a 50-50 breed of plum and apricot, and an aprium is a hybrid essentially the opposite of the pluot: a slightly fuzzy fruit with mostly apricot flavor and a hint of plum. These results can then be selectively bred over generations to produce identical fruit. Most hybrid seeds, however, are unpredictable variants of their parents’ characteristics; some may even be sterile and not produce fruit of any kind. So to preserve a favored hybrid, breeders will often graft fruit trees to clone their fruit. 2. Grafting an Apple So That It Stays an Apple If you plant an apple seed, its offspring will produce entirely random results. Apples harvested from seeds produce what are called “extreme heterozygotes,” or fruits that display unpredictable characteristics often only distantly related to their parent DNA. To guarantee that a Gala apple will produce new generations of Gala apples, breeders reproduce this fruit by a method known as grafting. Leaf buds from the desired apple variety are collected from an existing tree and inserted into the root system of another tree. The root section of the tree provides the buds with a nutrient system, as that root is already accustomed to the soil and environmental surroundings. Usually the leaf buds, or scion, are collected while the fruit tree is dormant in the winter. Then the scion is inserted into the root in April or May, just as the tree begins to blossom. Trees will produce fruit after a few growing seasons. Not to be confused with genetic modification, selective breeding by humans does not include genetic engineering of specific DNA. Genetic engineering is the process by which genes from unrelated species are isolated and collected to form new gene constructs. A genetically modified soybean that is resistant to herbicide has been genetically modified for optimum herbicide-resistance; its DNA has been tweaked to include an herbicide-resistant gene taken from bacteria. When humans choose to propagate natural descendents of an apple, a hybrid of a plum and apricot, or even a banana, they play a Darwinian role in self-selecting an advantageous variety—a subjective study dependent on a breeder’s objective. 3. Stone Fruit Masters Fruit breeding is a centuries-old practice by which plants have been selected and promoted to appeal to tastes, harvesting requirements, nutritional value and aesthetic charm. In the last 100 years, America has benefited from three important breeders who have tinkered with fruits to produce alluring offspring. The renowned 20th-century American botanist Luther Burbank first made a name for himself when he invented the Burbank potato. Decades later, McDonald’s now uses a variety of this spud—the Russet Burbank potato—for French fries. But Burbank also produced 800 plant breeds—200 or so of them being fruits. Ever hear of the Santa Rosa plum, the plumcot, or the white blackberry? These fruits bear Burbank’s patented names. From his instruction, Fred Anderson, known as the “father of the modern nectarine,” and his own protégé, Floyd Zaiger, creator of the pluot hybrid, continued the scientific study of stone fruits. Zaiger is the only one of the trifecta still living and his company, Zaiger Genetics, owns more than 90 U.S. plant patents, including the nectarcot and peacotum. 4. In your grocery aisle You’ve seen hybrids before, perhaps without even knowing it. Our yellow banana, otherwise known as the “dessert banana,” is actually a hybrid scientifically named Musa × paradisiacal. Boysenberries are a hybrid between a blackberry and raspberry, Meyer lemons are a hybrid of a lemon and a Mandarin orange, kiwis are hybrids of the genus Actinidia, and grapefruits are an 18th-century hybrid originally bred in Jamaica. Apples—Braeburn, Macoun, Macintosh, Red Delicious, Gala, Fuji, Pink Lady, Golden Delicious—are also familiar hybrids. 5. In your future grocery aisle When hybrids earn an officially recognized name by the government, their developer is granted a patent. Every new blend of fruit may be trademarked as something “distinctive.” The pluot, for instance, is legally different from another apricot-plum hybrid, the “Dinosaur Egg,” sold on the market today. Consider the endless possibilities: a nectacotum (hybrid of apricot, plum, and nectarine), the peacotum (hybrid of peach, apricot, and plum), the nectarcot (hybrid of nectarine and apricot) or the lemonquat (hybrid citrus of lemon and kumquat with an edible rind). The once-exotic tangelo, a cross between a tangerine and either a pomelo or a grapefruit, now seems ordinary in the face of next-generation fruit hybrids that tempt us with their good looks and striking tastes. 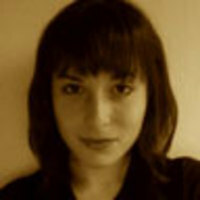 Stacey Slate is a food writer in New York City. She has contributed to Mark Bittman's New York Times blog, Bitten, and is also a writer for Civil Eats and a new print publication, Remedy Quarterly.